I am finding myself more intrigued by film photography right now than I have ever been — but this is not film. This is in fact a 3-year old digital image made up to look like black and white film. 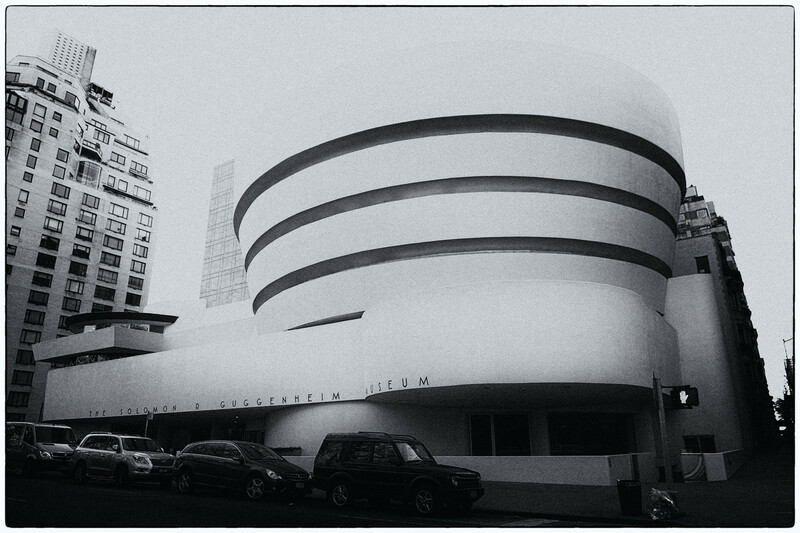 The subject of course is the Guggenheim Museum on Fifth Avenue in Manhattan. One reason I am posting this is I am trying to exercise a bit of discipline and editing in posting my recently taken film images. I find that when I explore a new technique everything looks interesting, but I am really just in love with the technique. This was true when I was heavily invested in HDR and I see it in my film look as well. I have photos that are not that great, but I personally find it interesting how some of them look in film as opposed to digital. Tomorrow is likely to be a day off from posting. perhaps when I return I will be able to post one of the true film images I have recently taken with some confidence.